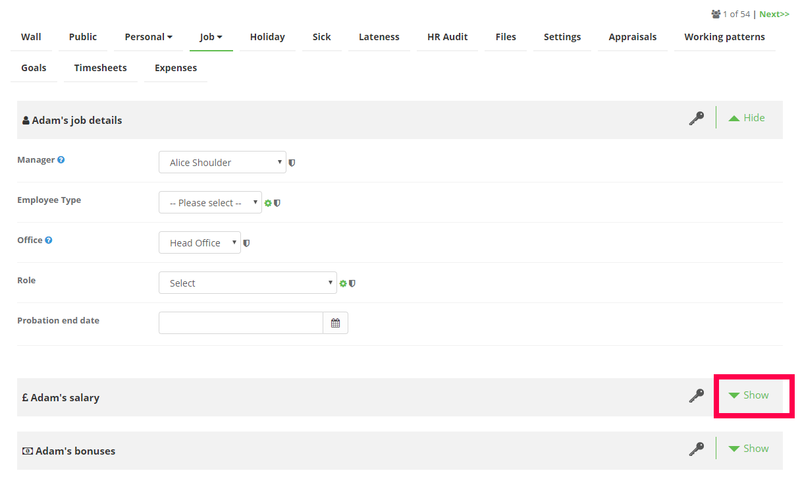 Navigate to your staff directory from the menu on the left and locate the staff member you would like to add a salary for. 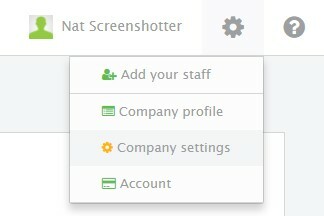 Once you are on the staff member's profile, navigate to their Job tab and scroll down until you see the name's salary. Click show to access their salary information. This will bring up their current salary and any previous salaries as well as the daily cost of absence for that particular employee. Click + add salary to apply a new salary to the staff member. 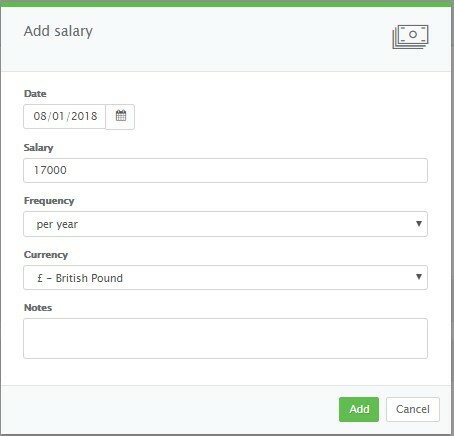 This will prompt a new dialog box to appear which will allow you to enter a salary, frequency of pay, currency and start date. Once you are happy with the information you have entered, click add salary. The salary is then added to the staff member's profile. The daily cost of absence and the percentage difference will then update. To limit your staff from being able to view their salary, go to your company settings. 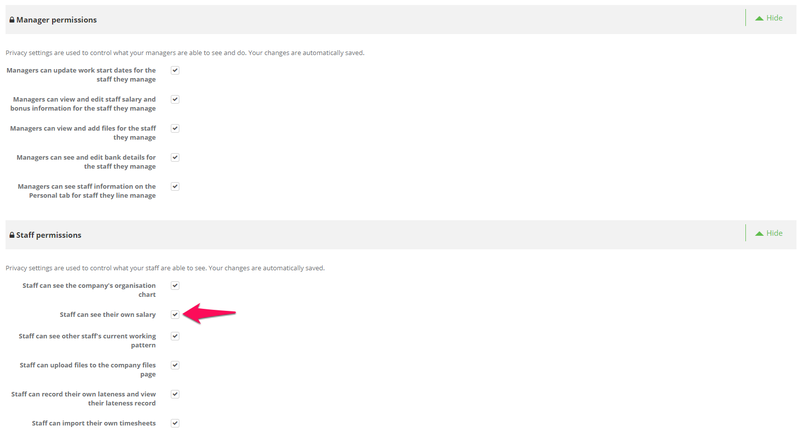 Then click on the Permissions tab, and you can uncheck the box giving the staff permission to view. You can run a report on your staff salaries by going to reports and clicking on salaries. NB: Only admin users can add salaries to staff profiles.